Although you may not be thinking of renovating now that the cold weather has set in, it’s never too early to start planning (and indeed, saving up for) your next major project. In this blog, we look at three prominent 2017 landscaping trends that are worth saving for. As backyards continue to act as an extension of the living area, it makes sense to bring cooking elements outdoors. 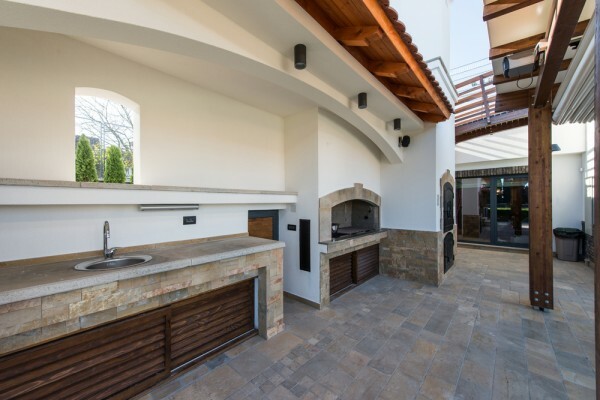 The outdoor kitchen has seen a huge surge in popularity, with items like pizza ovens, built-in barbeques, outdoor cupboards and benches for storing utensils and preparing food, and even stovetops all making an appearance in the backyards of keen entertainers. Through installing an outdoor kitchen, you’ll almost certainly increase the amount of time your family spends outdoors, along with entertaining opportunities. Whether you have a pool and want to update it, or you’ve been thinking of installing a pool in your backyard, now’s the time to embrace the latest trend of statement pool colours. Most pools are finished with blue tinted concrete or lino, however many Aussies are moving away from this traditional colouring and choosing more modern options like white – which gives a more natural look and better reflects the sky – and even black to transform the backyard pool into a standout feature. Concrete is a fantastic landscaping material as it is relatively inexpensive, hardwearing and easy to maintain. Concrete finishes can be used to transform outdoor areas into a truly modern space, playing on the industrial trend. Concrete can be used in patios, around pool areas and even to create outdoor bench tops and seating and comes in a range of finishes including coloured concrete, polished concrete, exposed aggregate and stenciled concrete. If you’ve got your sights set on a new landscaping project, start planning exactly what you want and create a realistic budget. Once you’re ready to start renovating, get in touch with the team at A Better Driveway. A Better Driveway offer a range of concreting services and can transform your backyard with our contemporary designs.